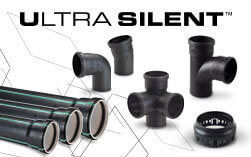 Huliot Ultra Silent™ is an eﬀective non-pressure soundproof, triple layer, push-fit system made of pipes and fittings for soil and waste discharge. Suitable for both low and high temperatures, within the building structure, as well as buried in the ground. The Ultra Silent™ system is available in diameters 32-200mm. Certified by SKZ and DiBt – Germany, DTI- Denmark, AENOR – Spain and SII – Israel. In compliance with the European norm EN-1451-1. co-polymer polypropylene with three-layer pipes and thickness in S16 series. All joints are made with push-fit sockets and elastomer seals. Used in the construction of waste systems inside building structures, anchored externally to the walls or embedded directly in the concrete. 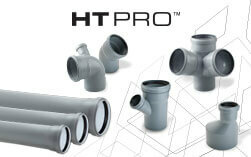 Huliot is a leading manufacturer of advanced pipe systems and innovative plastic products. With over 70 years’ experience, Huliot specializes in flow products, developing innovative solutions for multiple applications – water supply, drainage, sewerage, wastewater treatment and recycling systems. 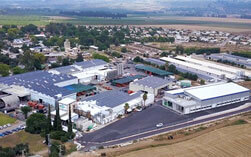 Huliot is headquartered in Israel with manufacturing and logistic facilities in: Slovenia, Israel and India. All Huliot products are manufactured using state-of-the-art extrusion and injection-molding technologies, adhering to the most stringent international standards. The HULIOT® Pressure Clamp™ connector serves as a complementary accessory for the push-fit ULTRA SILENT™ system. 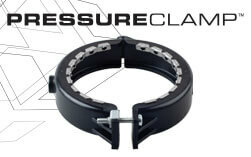 The Pressure Clamp™ offers customers’ features such as pressure resistance up to 6 BAR as well as retrieval prevention – for perfect ULTRA SILENT™ installation. It is suitable to be installed in parking-lot ceilings, exposed rainwater pipes and on blind pipes for sewage drainage. 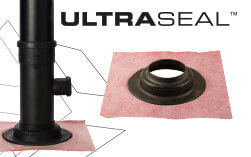 The ultimate solution for installing Ultra Silent™ system to achieve excellent performance. A cardinal principle underlying the installation of an acoustic wastewater system is to prevent direct contact between the system and the building structure, in order to stop structure-borne noise. In wet rooms, where water passes within floors or walls, ULTRASEAL™ presents the ideal solution to seal and prevent vibration transfer. HULIOT® is proud to offer customers the possibility of downloading detailed and millimeter accurate Ultra-Silent™ product drawings in several views. 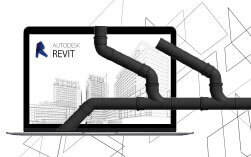 Offered clearly in 3D REVIT® format, allowing users to easily integrate products to scale-in design drawings and structural planning.